It seemed rather fitting as we arrived in Agra (the home of the Taj Mahal) we would be staying in the upscale Trident Agra Hotel. 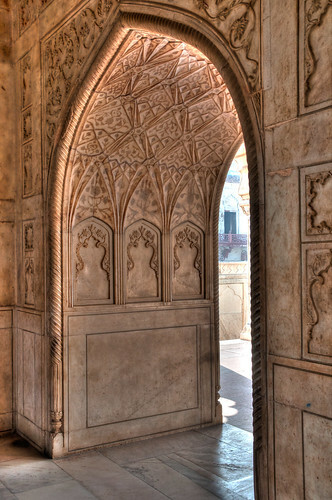 Our friend Lisa graciously donated some of her hotel points so we could enjoy 4 nights in luxury (2 in Agra, 2 in Jaipur). We looked a little out of place walking in with our packs and trail runners but we really enjoyed our fancy room and super comfortable bed. 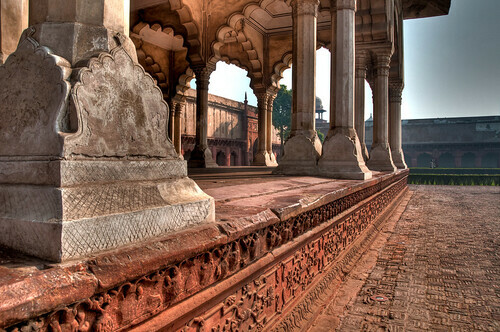 We had 2 days in Agra, the first day we spent working on part of our itinerary for our time in India, getting in a run in the fancy hotel gym and just relaxing. 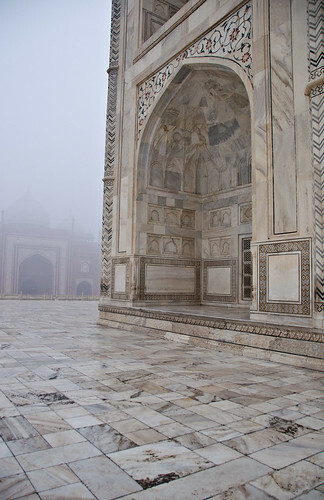 The second day was full of sightseeing, including the Taj Mahal. 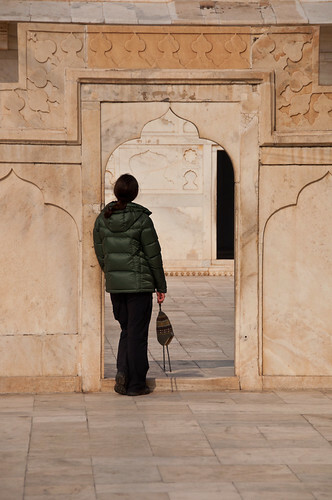 We woke up early to beat the crowds at the Taj, we had heard in the summer there can be queues for hours. 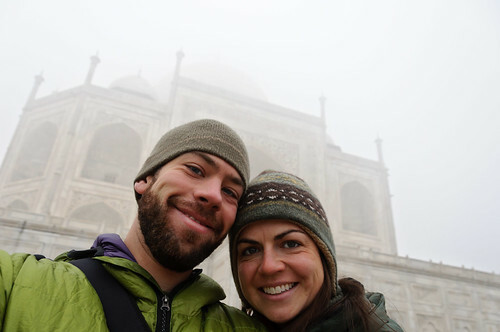 We walked straight in with no line, I think in part because it was rather cold in Agra (close to freezing) and quite foggy. Some might think the fog would have killed the viewing, but I think it just gave it a different and equally spectacular feeling. 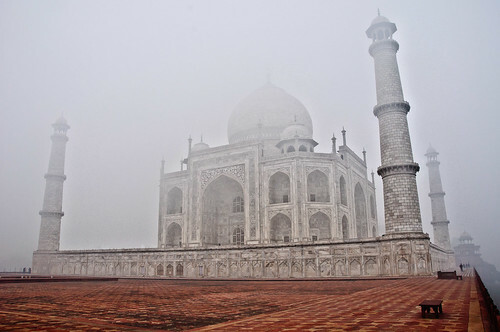 The Taj, like many sights, can't be portrayed properly in a photo. It is simply massive and awe-inspiring. Upon walking in Abby turned to me and said "That's the most beautiful building I've ever seen", I wholeheartedly concur, it's simply amazing. 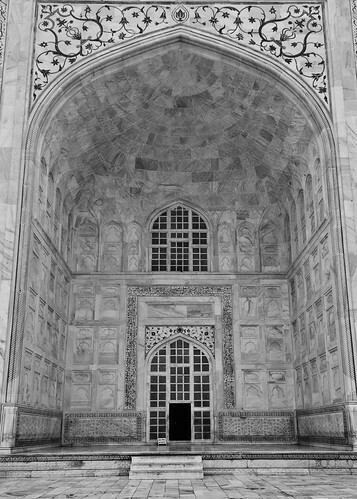 We walked around for almost 2 hours just looking up at the marble structure and strolling through the adjacent buildings. 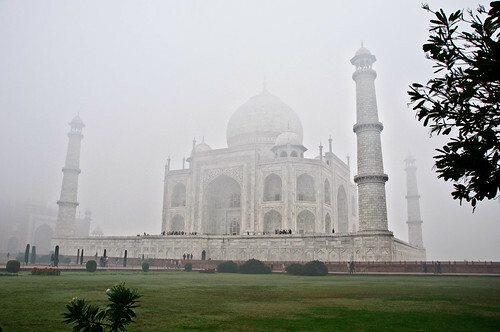 After our early morning view we weren't sure how anything could compare, but the other sights in Agra were almost as alluring. So much so that Abby couldn't stop dancing around, seriously. 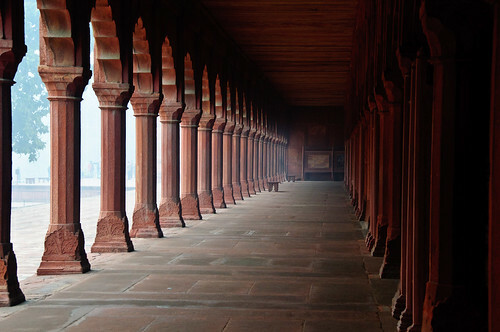 We visited the Agra Fort, similarly designed like the Red Fort in Delhi, but seemingly more preserved and more beautiful. 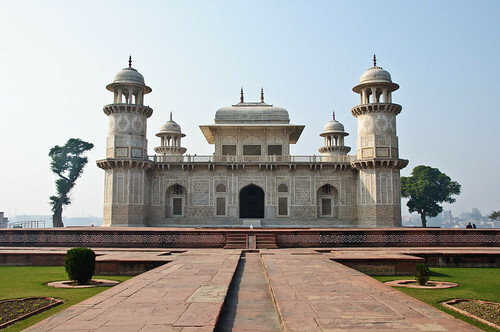 Followed by the "Baby Taj" (Itmad-ud-Daula's Tomb) which was built before and by a relative of the builder of the Taj Mahal. 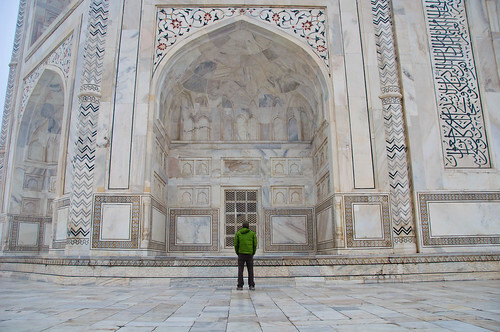 It, as it's nickname suggests, feels like a mini Taj Mahal. 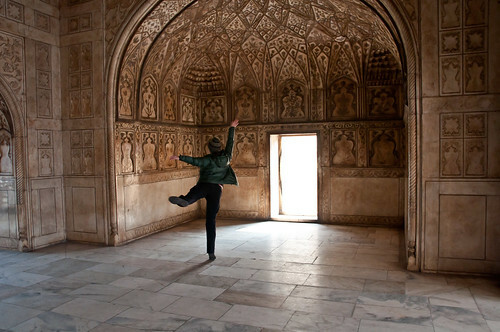 Our enjoyment of India continues and is even growing stronger. 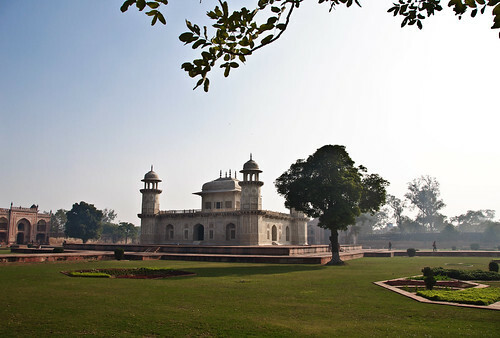 The sights are amazing, the people are wonderful and the weather is slowly warming. It's just what we needed. I'm with Tanya and Mom - Abby dancing made the post for me...and, of course, it looks awesome!